The pride of India (PoI) Expo organised concurrently with the 105th Indian Science Congress (ISC) in Manipur University has become the most happening place in this biggest convention of the scientists of the country. “Since the beginning of the expo, the students, accompanied by their teachers or guardians, have been thronging the exhibition site braving all odds,” says Capt KK Uppal (Retd) of MM Active, a Sci-Tech communications organisation and main organiser of the expo. “We are getting tremendous response from the delegates and visitors today as it is the last day of the expo,” says Uppal. Spread over an area of more than 18,000 sq m, almost equal to the size of two cricket fields, the expo showcases cutting-edge technologies, scientific products and services, achievements, innovations, initiatives and vision for future of India’s leading public and private organisations, research labs, and institutions dealing with science and technologies, education, defence, space, life sciences, health care, agriculture & food processing, energy, environment, infrastructure and automobiles. They are about 500 stalls being put up by 150 organisations. 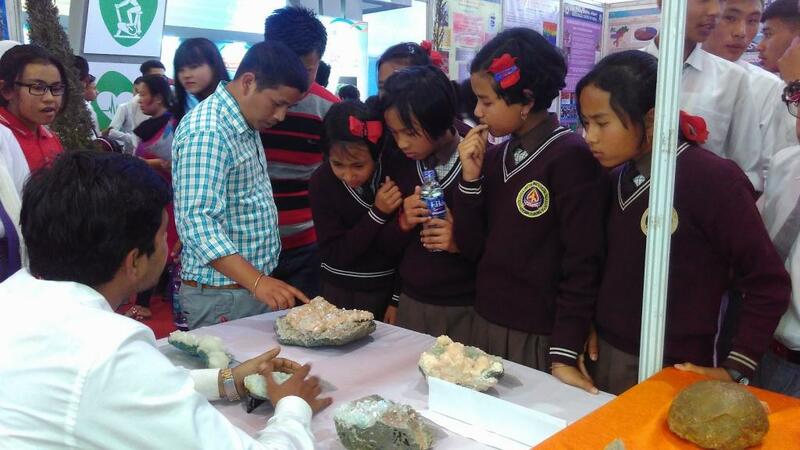 Apart from scientific models and other technological samples and innovations from various laboratories, the dinosaur egg fossils displayed at the Geological Survey of India’s stall and sports stall in particular are the main crowd-pullers. “We received a minimum of 1,000 visitors daily. The number could be more today,” says N Surdas of GSI. The visitors are coming from various parts of the state to witness the first ever expo organised at such large scale. “In fact, it created a local impact through the children who visited the expo where the government’s research and development labs demonstrated latest research and technologies to them to whet their interest in science and technologies,” says Prof Arun Kumar, Organising Secretary of ISC. According to the organising secretary, more than 5,000 delegates and participants from the state and other parts of the country and abroad attended 105th ISC. Kumar also informed that such an events are a great opportunity for young researchers to get exposure and interact with the distinguish scientists and experts. Manipur University students, who have been volunteering since the beginning of the science congress, also shared similar sentiments. “Yes, the congress really enhances my knowledge, particularly in y area of study. At the exhibition site, I found real-time project on aerospace,” says LS Veisounii, a student of Computer Science. On the other hand, Th Jayalaxmi, a student of Biochemistry said that the first ever science congress in Manipur University helped her in developing communication skills, besides giving an insight into scientific knowledge. The scientists and experts attending in the ISC have discussed and shared their findings and knowledge through 14 different sections and takes respective recommendations for the further incorporation and implementation in the policymaking process of the government.